Even long before being a fashion blogger, I have always had a thing for jackets shaped as dressing gowns ! I love this Monki denim coat and it is perfect for this time of the year. Just wear it with a floral dress for a more romantic twist, or with black trousers and shirt and Oxfords, there are several ways to wear it. This look was rather simple, and I played with blue color by adding a Bijou Brigitte statement necklace and wearing Oakley blue lenses sunglasses. I thought about wearing MAC Lady Danger lipstick, that has the same bright orangey red as this Stockholm Berlin sweatshirt, and it's one of my favorite MAC lipsticks. A leopard scarf, kept in my Givenchy Pandora bag and worn if necessary, wasn't just a fancy add, the weather keeps changing and it's good to be well equipped. And you, have you bought any denim jacket for Spring yet ?. Da ben prima di essere una fashion blogger, ho sempre avuto una fissazione per le giacche a vestaglia ! Adoro questo cappottino in denim di Monki ed è perfetto per questo periodo dell'anno. Indossatelo con un abitino a fiori per una svolta romantica, o con pantaloni neri, maglietta ed Oxfords ai piedi e risulta stilosissimo, ci sono tanti modi di abbinarlo. Essendo il look abbastanza semplice, ho giocato con il blu aggiungendo una statement necklace Bijou Brigitte ed i miei occhiali Oakley con lenti a specchio blu. Ho subito pensato di portare il rossetto MAC Lady Danger, che ha la stessa tonalità arancio-rossa della felpa Stockholm Berlin H&M, ed è uno dei miei rossetti MAC preferiti. Una sciarpa leopardata, portata nella Pandora Givenchy ed usata all'occorrenza, non è solo un vezzo ma una necessità, dato che il tempo è molto ballerino, ed è bene uscire equipaggiati per il peggio. Voi avete già acquistato una giacca di jeans per la Primavera ?. Thanks everyone for taking part in this Giveaway and stay tuned for more surprises ! Thanks for commenting and following Fashion and Cookies - fashion blog ! I love it! Have a nice day babe!! Love the pumps! The look is different but soy trendy, love it! Piccoli regalini da.. Roma!! *-* scopri di più sul mio blog!! This is such a lovely outfit, I would never have thought of putting all that together but it looks great! You look stylish and elegant no matter what you wear. I'm jealous! Wow.... favoloso questo cappotto, adoro il trend denim on denim, m i strapiace come lo hai abbinato!!!! Buon WE cara super fashion girl!!!! Adoooroooo il tuo cappotto in jeans!*. * Mi piace come l'hai abbinato, bellissimi anche i dettagli leopardati! Love this! That orange sweater is the perfect way to compliment that leopard print scarf. 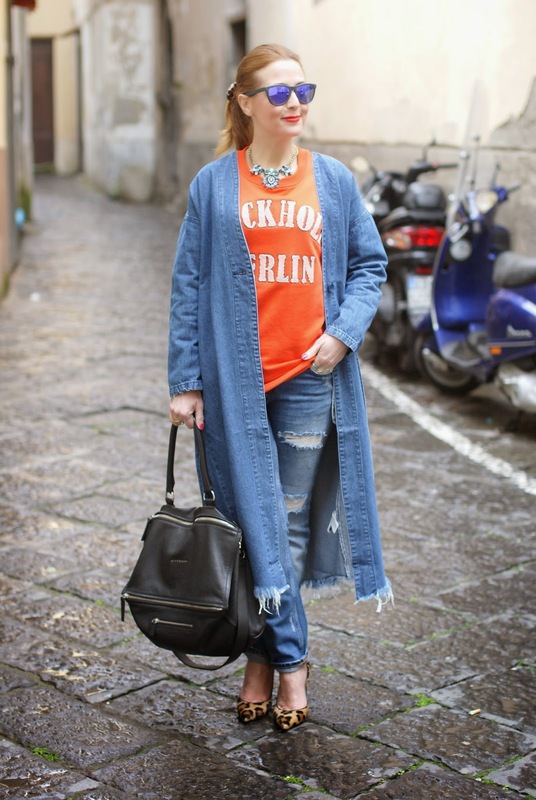 Adoro questa proposta di look denim on denim Vale! 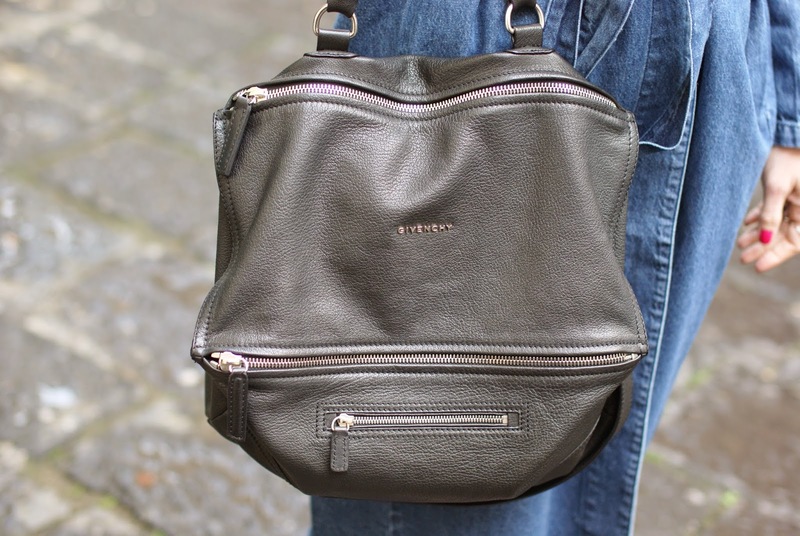 Molto sporty cool! Ho la stessa felpa a proposito! ;) E i tuoi tacchi sono deliziosi e si abbinano perfettamente a quel bellissimo arancione! Scarpe e jeans super top!! Mi piace molto il denim su denim! Che bel look Vale, mi piace il tocco leo degli accessori! Mi piace molto questo abbinamento di colori! Stai benissimo! Un look casual ma diciamo che le pumps leo danno quel tocco super glam che non guasta mai. V,q è vero Vale, tu sei estremamente "camaleontica" e questo è il tuo bello. Me encanta este look tan alegre y vistoso!!! Estás magnífica Vale!! Love the denim coat! You've got such a great style, perfect colours. Awesome heels and trench coat! Leopard and jeans is a great combination. So che sono ripetitiva, ma tu sei una delle pochissime fashion blogger italiane, che ci propone outfit unici e mai visti prima con un denominatore costante: l'eleganza. Che sia sportivo o romantic chic mi sorprendi sempre in modo positivo. Sei geniale Vale, così come questa monki jacket in denim. I love lady danger from MAC it´s a gorgeous color! You look nice with it! Sai cosa mi piacerebbe avere? Oltre al tuo guardaroba che vabbè sarebbe il top, ma proprio la tua vena creativa, la tua abilità nel creare look sempre diversi e abbinamenti insoliti che poi addosso stanno divinamente!!! Questo denim style vince, bello il cappotto e l'arancio che attira l'attenzione e rende tutto più street! The most amazing casual chic look I have seen. I looooove the way you styled the sweatshirt. I have the same but haven't worn it yet. I'm a huge fan of jackets that are shaped as dresses too. I own a few too but not in denim and it looks so cool. Happy Sunday Vale! This look is gorgeous!!! Love the leopard accents with the blue denim, it looks divine! Ciao Vale, stai benissimo con questo look casual! So lovely dear! Thanks for sharing and have an amazing new week! Stai benissimo con tutti gli stili, anche in questo outfit sei bellissima! Adoro le pumps! Beautiful, Vale! I love your change-of-look and your gorgeous shoes/bag. Thanks for sharing with Visible Monday, xo. Love the leopard elements! Great look! GORGEOUS denim jacket-coat!!!!!!!! So trendy, adore it!!!!!! LOVE the denim on denim look and the shoes and sweatshirt!!! You look fabulous! 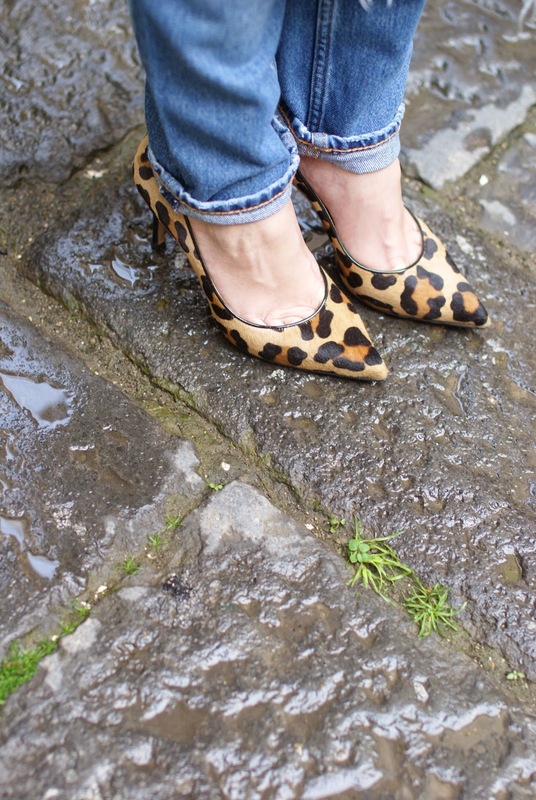 Loving the denim and leopard! This outfit is fantastic! 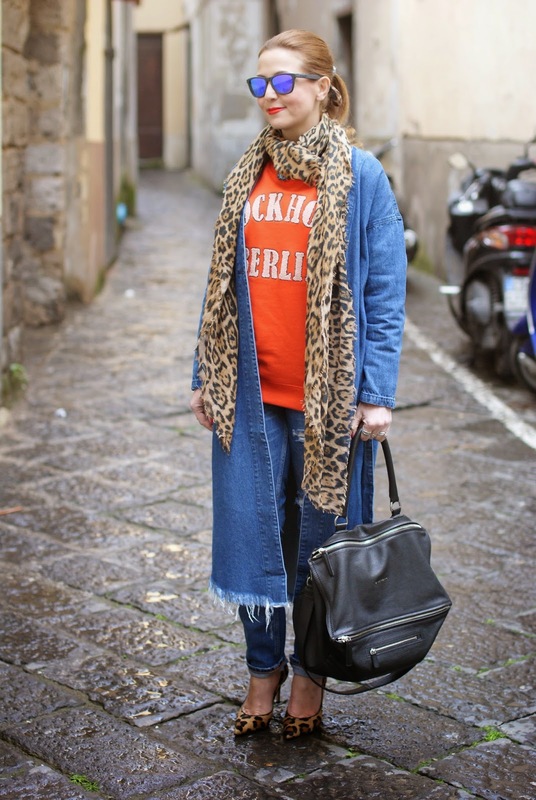 I love the denim on denim and the pop of orange and leopard. Such a fun style. Bellissima in denim e favoloso il tocco arancio!!! Assolutamente favolosa, poi i tocchi animalier sono top, devo trovare delle scarpe come le tue! Great outfit, love your denim jacket! 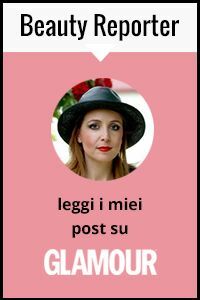 Buon inizio settimana mia bella fashion blogger. What a fun coat!! Love it paired with the leopard.